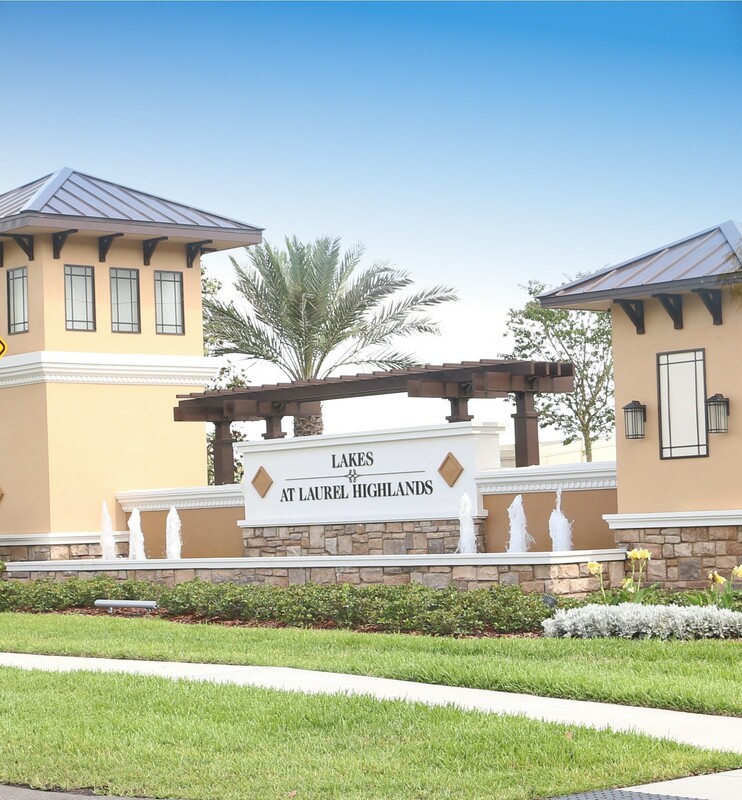 The beautiful new (2017) Lakes at Laurel Highlands development is perfectly situated off of Airport Road in south Lakeland, FL and offers an exclusive 55+ community; Heritage Landings Freedom. 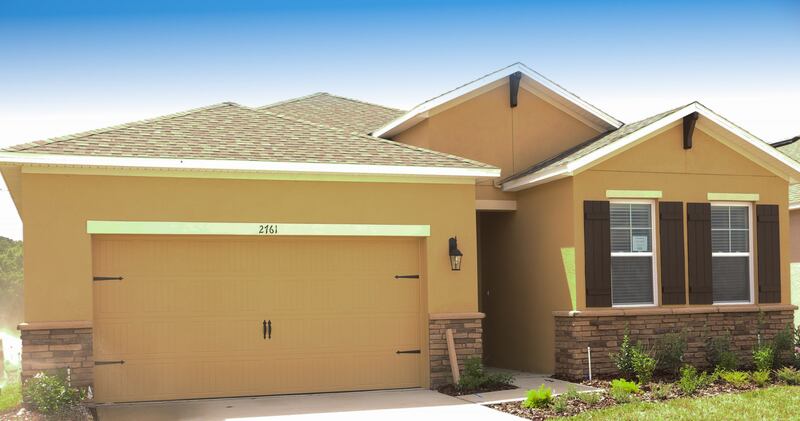 This community features a private gated enclave and homes designed exclusively for 55+ buyers. 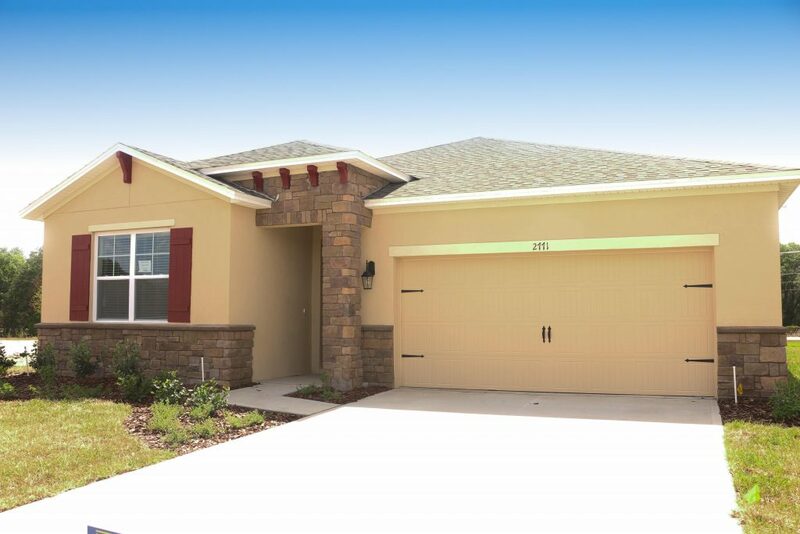 Heritage Landings offers a variety one-story floor plans, with prices starting in the low 200’s. It’s amenities are top notch and include a 4000+ square foot community center. One look around and you’ll know that this striking community was designed with aesthetics in mind. The gorgeous design features peaceful ponds, fountains, and lots of greenery that make quite the scenic environment to call home. Of course just outside the gates of the charming community you’ll find the best that Lakeland has to offer with shopping, dining and entertainment. A 4,000+ square-foot clubhouse featuring a fitness center, social gathering room, catering kitchen, and a beautiful resort-style pool complete with splash pad (perfect for visits from the grandkids) are among the many amenities available to you at Heritage Landings Freedom. The state of the art fitness has a thorough variety of cardio equipment ranging from treadmills, ellipticals and stationary bikes. Free weights, weight benches, weight machines, stability balls and other fitness equipment also await you. Whether you are a fitness enthusiast or just looking to squeeze in a quick and easy workout you’ll find what you’re looking for here. The clubhouse features an open-format, common area that is ideal for watching the big game or social event with friends, family or neighbors. Complete with a bar area, small kitchen and dining table it’s the perfect place to have a social dinner or host a gathering. There is also a business room for small, quiet meetings. Perhaps the outdoors lifestyle is more to your liking? If so, be sure to visit the gorgeous pool area. This spacious oasis is surrounded by picturesque palm trees and overlooks one of the many gorgeous ponds on the property. Lounge and sitting chairs can be found throughout fully and partially shaded as well as full-sun areas. The large pool is well-suited for relaxing or water activities with easy access features such as large stairs and multiple railings. If walking, biking or jogging is your thing, take a stroll down the freshly paved sidewalks, through this attractively laid out community. 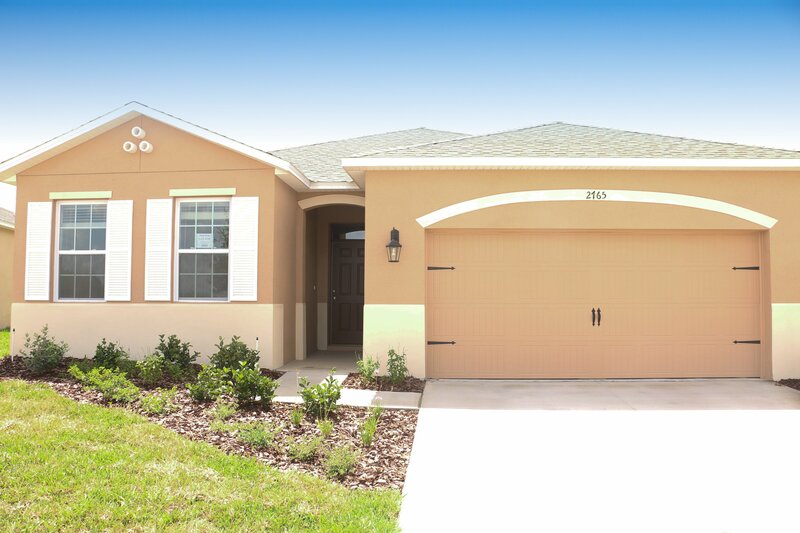 The homes in Heritage Landings Freedom are built by the America’s #1 home builder, D.R. Horton. More people have chosen to build their homes with D.R. Horton than any other builder, they have been ranked as the top home builder by Builder Magazine since 2002. There are four spacious floor plans to choose from inside the Heritage Landings Freedom community ranging from 1641 – 2034 square feet. Choose from 2 or 3 bedrooms, with each plan featuring a bonus flex and / or study room. All plans include two bathrooms, attached two car garages, laundry, and large kitchen pantries. Additionally, all homes have upgraded interiors that come standard with tile in the main living areas and bathrooms, granite countertops in the kitchen and bathrooms, and stainless steel kitchen appliances. The modern designs and conveniences make life easy and open floor plans are ideal for active 55+ adults. Additional features include: private master suites, and covered lanais which are perfect for taking in views of stunning Lakeland, FL sunsets. Heritage Landings Freedom is proud to offer lovely worry-free living inside this gated community. After years of hard work, you definitely deserve it. A low cost monthly homeowner’s association fee is associated with the community and includes upkeep of the clubhouse, fitness center, pool area and common area ground maintenance. There is so much to enjoy inside this beautiful community, it is sure to be a dream for any active 55+ resident. 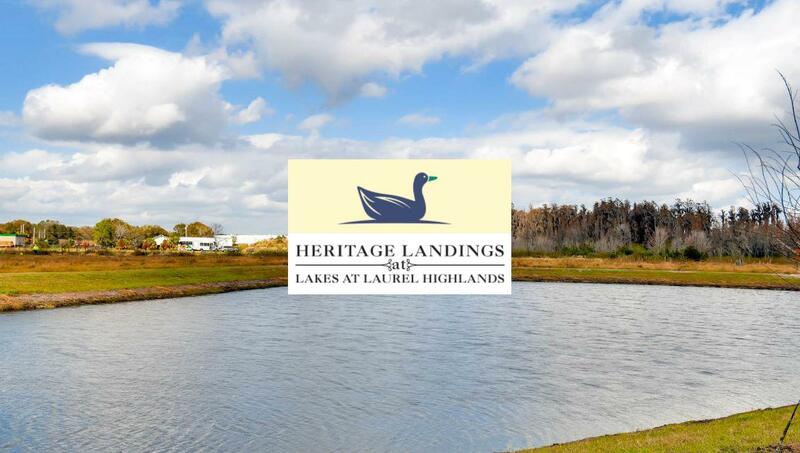 Heritage Landings Freedom is located in south Lakeland Florida. Ideally situated between Tampa and Orlando, you will have effortless access to both via the I-4 interstate and Polk Parkway. Furthermore, Lakeland is home the greatest collection of historic structures created by Frank Lloyd Wright and to many stunning lakes. This offers great opportunities for boating, fishing, and other water themed activities. Lakeland, FL is also home to many well kept golf courses, entertainment and arts venues. Sports fans have the unique opportunity to watch the Detroit Tigers, whom have made Lakeland their spring training home for the next 100 years! Just a few miles outside the community, Lakeland’s prestigious Sun N Fun fly in takes place each spring. This event has featured the USAF Thunderbirds, the Breitling Jet Team and US Navy Blue Angels. More than 200,000 participants from over 80 countries attend air shows, seminars, forums, workshops, student tours and military enlistment ceremonies on the grounds. It truly is an event to behold. Living the Florida lifestyle has never been so wonderful! Poised to provide convenient access to dining, shopping, hospitals, and churches, Heritage Landings Freedom by D.R. Horton is a superb place to call home. Theme parks, big city attractions, and beaches are all within a short drive. Interested in making this community your home? Please read my article about valuable tips for buying a new construction home or let me be your representative buyer’s agent or seller’s agent keeping your interest in mind. Contact me or call me at 863-619-6918 for more information about buying or selling any available home in the Heritage Landings Freedom community.